We also provide Online Astrology Services, Astrology is the study of man's response to planetary stimuli. The stars have no conscious benevolence or animosity; they merely send forth positive and negative radiations. Of themselves, these do not help or harm humanity but offer a lawful channel for the outward operation of cause-effect equilibriums which each man has set into motion in the past. A child is born on that day and at that hour when the celestial rays are in mathematical harmony with his individual karma. His horoscope is a challenging portrait, revealing his unalterable past and its probable future results. 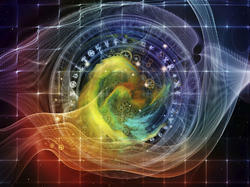 Looking for Online Astrology Services ?